Democrats are back in the fight for the Arizona Eighth Congressional District: All Bets are Off. 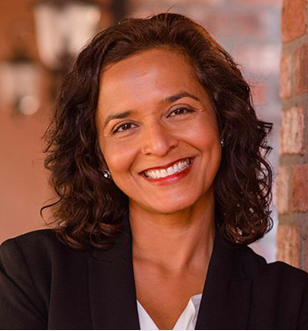 Dr. Hiral Tipirneni, Democratic Candidate for the Eighth Congressional District. In the 2014 and 2016 Elections for Arizona’s Eighth Congressional District, Representative Trent Franks had no Democratic Opponent and easily cruised to victory in both elections. Now, thanks to Representative Frank’s resignation because of his unique interpretation of family values (asking two unwilling women on his staff to be surrogate mothers for his wife and even offering one money), the Eighth Congressional District is potentially up for grabs in a special election being held on Tuesday, April 24. The two candidates are Dr. Hiral Tipirneni for the Democrats and Debbie Lesko for the Republicans. As Democrats, with a strong viable candidate, mount a credible campaign, conservatives in Republican World are increasingly worried of another “Pennsylvania Congressional 18TH District” upset in an area that went for the President by just over 20 points, was a stronghold for the embattled former Sheriff of Maricopa County Joe Arpaio, and contains Sun City within its boundaries. According to Bill Roe, the First Vice Chair of the Arizona Democratic Party, this April 24 election will all come down to turnout among Democrats, Independents favorable to Dr. Tipirneni, fatigued Republicans disenchanted with their party, and the newly arrived populace in the district that no one knows how they will decide. On the issues, the candidates strongly personify the positions of their party. Ms. Lesko strongly adheres to the Conservative Brand of the Republican Party, supporting tax cuts, the construction of a border wall, anti-abortion, and entitlement and spending reform (cuts) to reduce the deficit. Dr. Tipirneni is a blend of both progressive and centrist wings of the Democratic Party. She supports the ability for people to buy into Medicare before they turn 65 (which could appeal to newly arrived residents of Sun City). She is for investments in clean energy, public education, and “innovative technology” to combat illegal immigration at the border. She is for the second amendment with the caveat that background checks and sensible gun control reforms are needed. 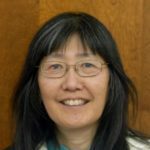 She presents herself in interviews as a pragmatic problem solver. More information and insights on where the candidates stand can be found at their websites (see links below) and from the footage of their debate on Bram Resnik’s Sunday Square Off (please see link below). Demographics: When the Congressional Eighth District was created after the 2010 census, there were approximately 212,0000 people in the Congressional Eight District. That part of the Valley has since experienced tremendous growth to over approximately 767,000 people in 2015. Given that there had been no Democratic Primary in the 2014 and 2016 elections and Franks, as an incumbent, easily dispatched his primary opposition, it is unclear which candidate will get the most support in those areas despite the special primaries earlier this year. Republicans are scared. In a district where Trent Franks did not have any Democratic opponents in 2014 and 2016, Dr. Tipirneni’s strong candidacy has conservative activists spending tremendous amounts of money out of fear of an upset in a district the President won by over twenty points. They clearly see problems otherwise they would not be pouring approximately a million dollars into a “safe” red district that has a marked advantage in Republican Party registration. Who are the independents going to be for? Is there fatigue among the Republicans? Will Democrats vote in the numbers that Dr. Tipirneni needs by April 24? According to Mr. Roe, the road to victory for Dr. Tipirneni is paved in part by how much she appeals to Independents and Republicans who are fatigued with the policies (and behaviors) of their leaders (Trump, Franks, or Lesko). Tiperineni also needs to count on the enthusiasm she is seeing among Democrats carry over to turning out on April 24. Which candidate has the better electoral technology and ground game? The other part of the paved road to victory for Dr. Tipirneni is how effective her ground game and technology infrastructure are as they get to Election Day. Do her people already know who has voted? If so, do they have the staff and volunteers to reach out and close the deal by Election Day? Appealing to Independents, fatigued Republicans, Democrats and having an effective ground game are the keys to possible victory next Tuesday. As of today, April 17, 2018, all bets are off in the race to succeed Trent Franks in the Eighth Congressional District. The enthusiasm and funding levels are on Dr. Tipirneni’s side. Republicans do have a registration advantage but as the population growth in this district indicates, there is no certainty what the final tally will be until all the votes are counted. If Dr. Tipirneni emerges victorious on April 24, this will serve as another sign that a Progressive and Democratic Blue Wave may be on the horizon. Even if she loses by less than ten points that will also serve notice that Republicans should still be scared about the November elections. It should also show Democrats that they can compete anywhere if they have a compelling and strong candidate with a message for taking the country forward. Either way, Dr. Tipirneni cannot rest for very long because she would have to start preparing to run again for November. Please remember that no matter what is your political party or whomever you support, vote on April 24 if you live in the Eighth Congressional District. We cannot move the country forward if people do not fully participate in the democratic process. It’s not especially important but I think this sentence is inaccurate. The 212,000 figure is probably about one-third of the correct number. This inaccuracy does not negate the fact that the CD 8 has experienced a lot of growth.